Co-founder of Simply Business, turning a tiny start-up company into one of the UK’s largest and most disruptive online insurance providers in less than ten years. 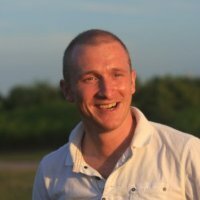 As Chief Operating Officer Chris is responsible for harnessing the capability of a group of lean product development specialists and commercial team, an agile development platform and an award winning operations team to deliver a market-leading customer proposition to the UK small business community. Through proprietary data and technology he’s helped build a +300 person business that currently provides insurance to over 330k customers in the UK. The company also won #1 spot in The Sunday Times Best Companies to Work For in the UK 2015. Prior to working at Simply Business, Chris worked in a number of roles at Royal & SunAlliance, including a role on the MORE TH>N launch team, and he currently sits as an advisor on a number of start-ups as well as the UK’s largest enterprise education charity, Young Enterprise. Chris also holds an MBA from Cass Business School.